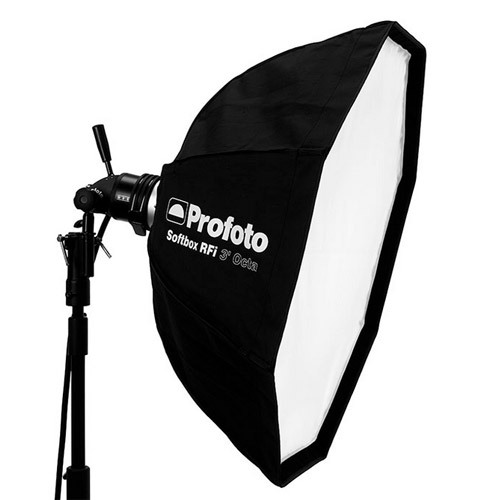 The RFi 3' Octa (90cm) is an octagonal softbox suited to portrait and people photography. The size makes it the ideal choice for jobs on location. The RFi Octa softboxes are particularly popular among fashion, portrait and beauty photographers. The RFi softboxes are compatible to more than 20 different flash brands through a wide range of speedring adapters. High-quality fabrics, reinforced seams, edges and corners guarantee long life time. Color-codes and Velcro attachments result in hassle-free assembly and disassembly.